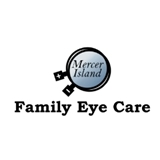 Mercer Island Family Eye Care (Mercer Island) - Book Appointment Online! Dr. Griff was wonderful. She is very thorough and professional. A lovely person as well. Highly recommend! My appointment was with Dr Nguyen - he was very professional and very thorough. I would recommend him highly.